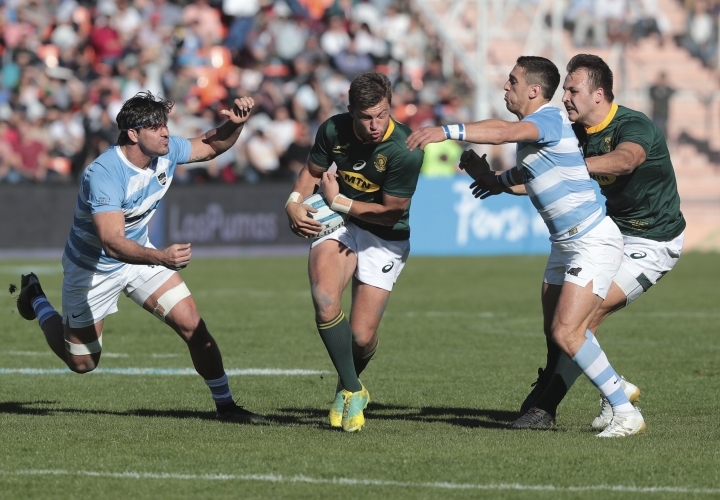 MENDOZA, Argentina — Argentina beat South Africa in coach Mario Ledesma's first home test in charge as the Pumas produced a rampaging first-half performance in a 32-19 victory in the Rugby Championship on Saturday. Ledesma's team scored three of its four tries in eight minutes in the opening half, wresting control with a double by right wing Bautista Delguy and a try from flyhalf Nicolas Sanchez. 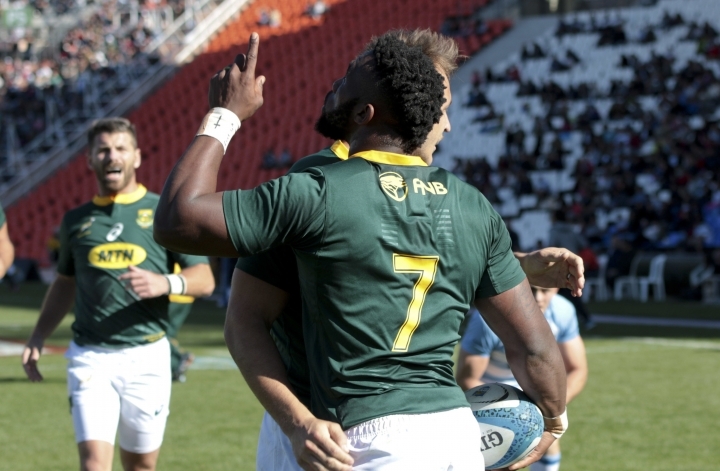 After conceding an early try, Argentina led the Springboks by a commanding 25 points at one stage in a scintillating response of 29 unanswered points in just over 30 minutes. 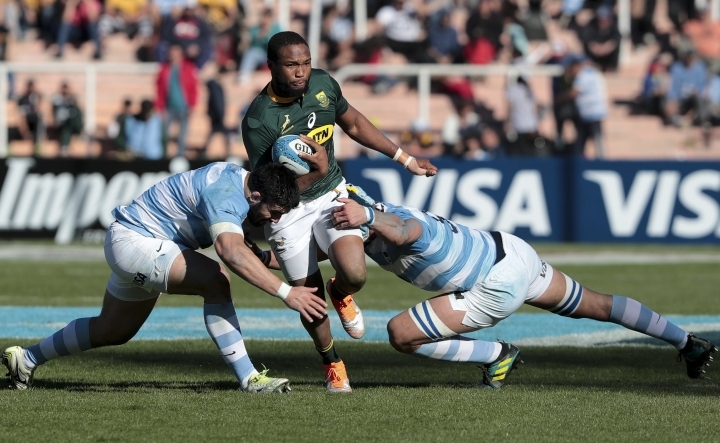 Sanchez collected 17 points to lead Argentina to its third win over South Africa, all coming in the last three years. It was also Argentina's biggest margin of victory over the Springboks, surpassing by a point the 37-25 win in South Africa in 2015. And it was a first triumph this year for the Pumas, who lost three straight home games in June, a run that saw the end of former coach Daniel Hourcade and gave the former Argentina international Ledesma his chance. 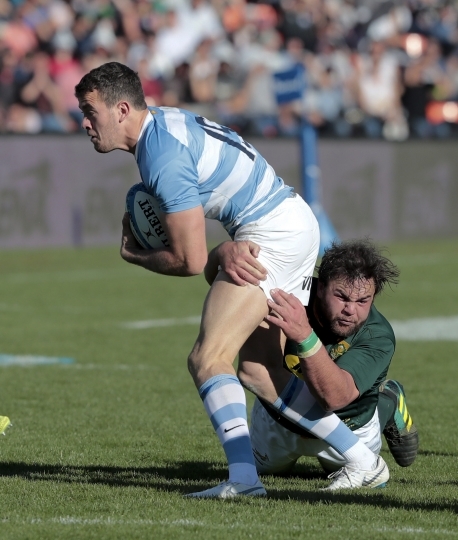 Ledesma started with a loss in South Africa last weekend but turned it around in Mendoza, with Argentina much stronger than the Boks up front, more physical at the breakdown, and far more incisive with its attacks. 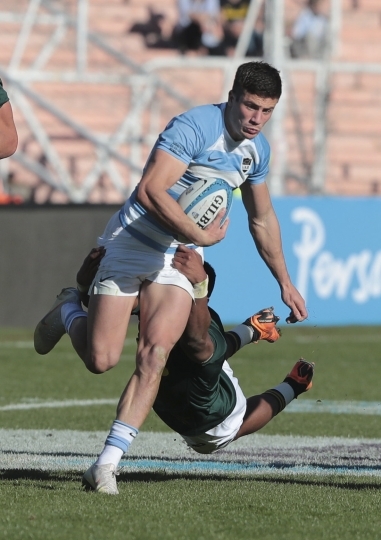 The Pumas' performance reflected Ledesma's progress in his former job with the Jaguares in Super Rugby, when he led the Argentine team to the playoffs this year for the first time and to a series of victories over South African opposition in Argentina. 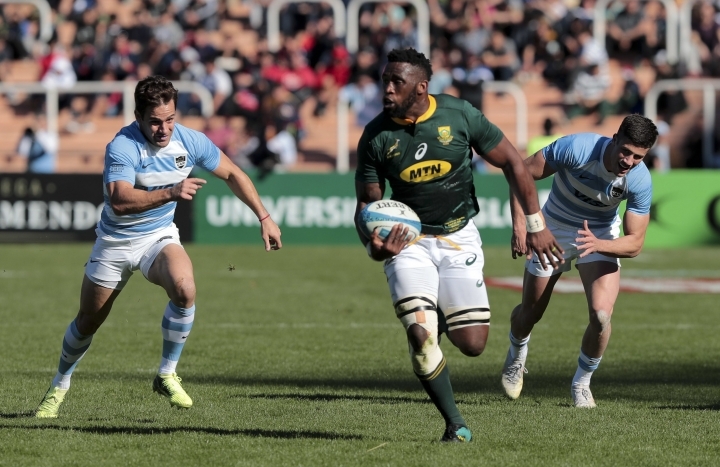 On Saturday, Argentina led 27-7 at halftime and 32-7 early in the second half, despite South Africa captain Siya Kolisi having claimed the game's first try. 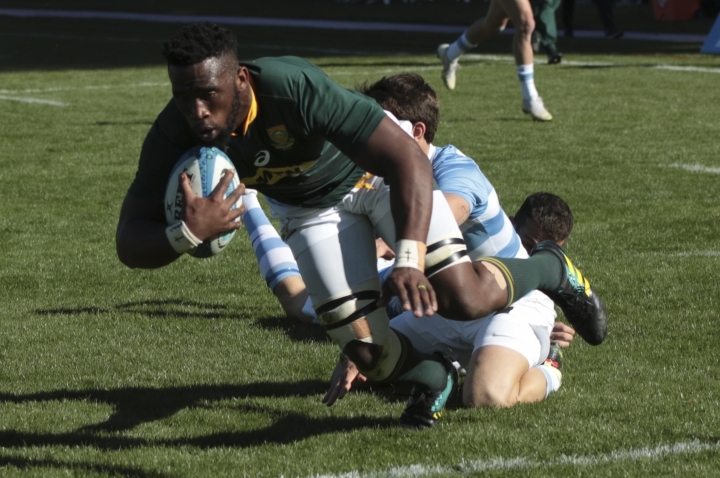 In an early glitch for the Pumas, Kolisi scored by taking advantage of a missed tackle by Sanchez. Delguy grabbed the home side's first try in the 19th minute after a break by fullback Emiliano Boffelli. 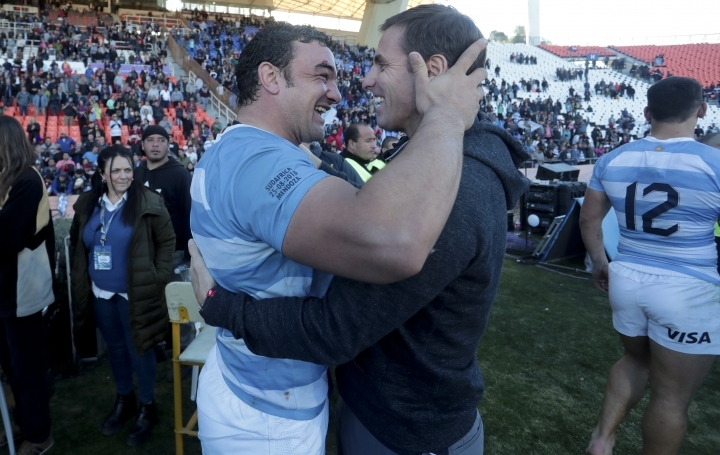 He then picked up his second four minutes later when the Pumas gained momentum with a powerful scrum. Sanchez darted through a shambolic South Africa defense soon after lock Eben Etzebeth was sent to the sin bin for a ruck infringement on the Boks' line. The Argentina flyhalf then kicked a drop goal before halftime to add to his try, three conversions and a penalty in the first 40 minutes. 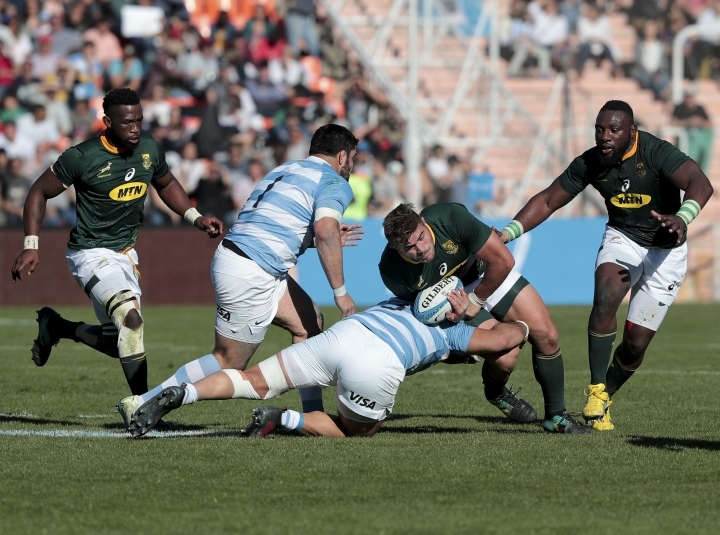 Argentina's other wing, Ramiro Moyano, scored the fourth try five minutes into the second half and the lead wasn't seriously threatened despite a double by Springboks replacement wing Lionel Mapoe, his first test tries. The Pumas didn't score again after Moyano's touchdown but they didn't need to as the defense held up. The loss was the biggest blow so far for South Africa coach Rassie Erasmus, who is also new in the job after being given the task of reviving the two-time World Cup winner following a dire two years under Allister Coetzee. 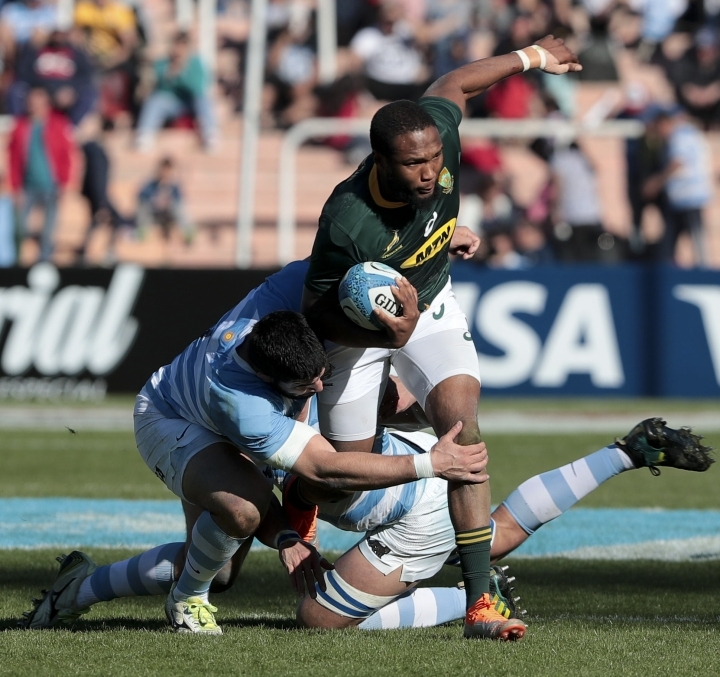 On the evidence in Mendoza, Erasmus still hasn't fixed the defensive fragility that blighted the Boks under Coetzee. 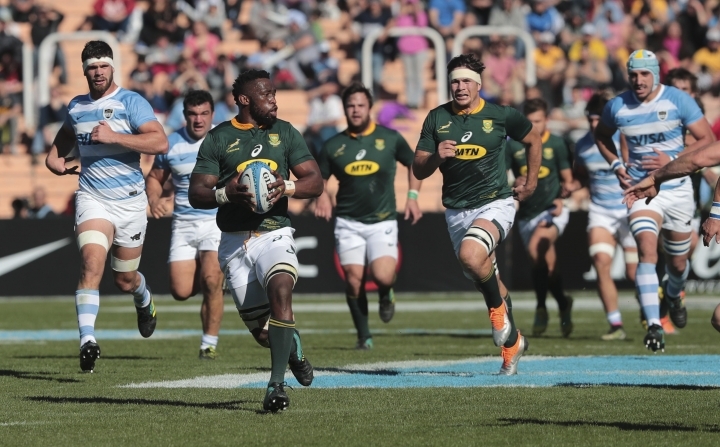 South Africa's set-piece, the bedrock of its game, also failed to function, a sudden turnaround after dominating the Pumas in that area a week ago in Durban. "We played like a team that's playing club rugby," Erasmus said. "I must point a finger at myself when we perform like this. "This puts us back quite a bit. I'm not going to stand here and lie to you." Argentina's victory gives defending champion New Zealand a clear lead in the standings after two rounds of the southern hemisphere championship following its 40-12 drubbing of Australia and second straight win earlier on Saturday. The next challenge for Ledesma and Argentina is the All Blacks in New Zealand in two weeks.